FIRST Robotics Team 4272 was founded in November of 2011 at McCutcheon High School in Lafayette, Indiana. 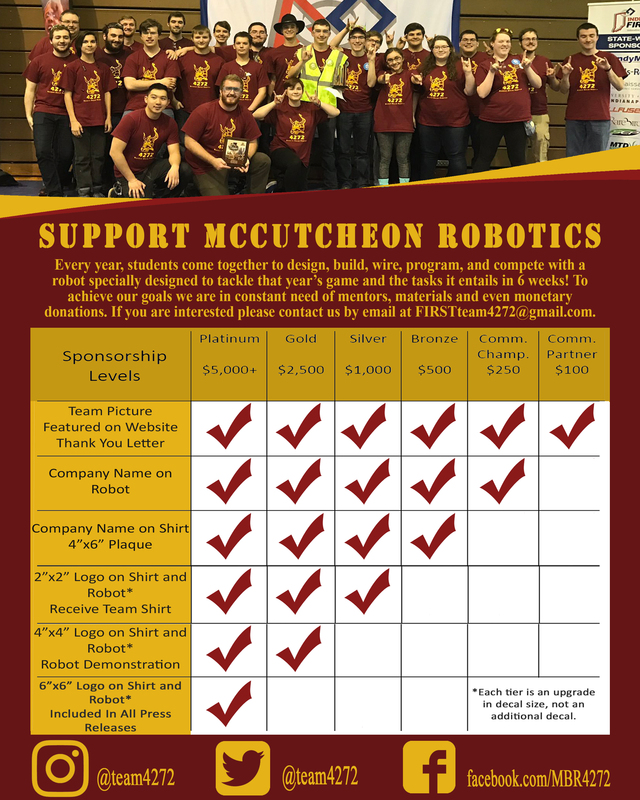 The founders of the team analyzed the programs available to students in the community and found that McCutcheon High School lacked adequate resources and programs to teach students about robotics and advanced engineering skills. Following this evaluation, Team 4272 was founded as a partnership between McCutcheon High School and Purdue FIRST Programs. The initial team had eight mentors who recruited 12 McCutcheon High School students to join the team. Since the initial year, the team has steadily increased to its current size. The team is located in Lafayette, Indiana in McCutcheon High School which is part of the Tippecanoe School Corporation.